Do you have space outside your office building? Perhaps you have a balcony area, unused rooftop, garden or another allotted space? It makes sense to maximise any outside office space with furniture designed for the great outdoors such as weather resistant outdoor tables and chairs. In suitable weather, many employees feel that they can work more efficiently outdoors, in a more relaxed environment. Informal meetings, agile working and networking outside can lead to an increased sense of wellbeing. The ability to provide outdoor tables and chairs can ultimately reinvigorate your workforce, resulting in improved productivity whilst attracting future employees. 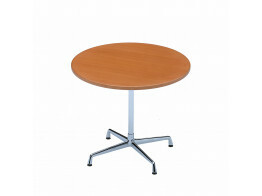 We can supply you with a variety of outdoor tables from the Europe’s leading manufacturers. Choose from bistro and café tables, weather resistant wooden tables, bar height tables and picnic benches, as well as eye-catching designer outside furniture pieces suitable for all weather. 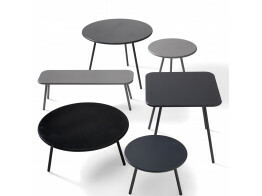 Outdoor tables are particularly useful for café, al fresco dining, restaurant and office breakout areas. 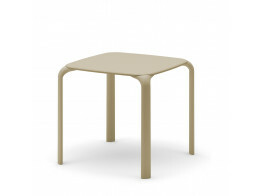 Many of the UV resistant outdoor tables we offer are stackable and we provide outdoor lightweight folding tables like Ciak Table which is available in a range of colours. Providing an informal break away table for collaborative seating, BuzziBreeze Meeting Tables offer a more relaxed and flexible space for getting together with colleagues for a working lunch or afternoon coffee. Available in modular sizing and with a variety of sizing options available, it's a versatile picnic bench for modern working and office breakout time. Outdoor tables and chairs from Après Furniture. 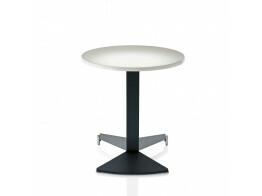 Contract Table is a white, Eames designed, indoor and outdoor cafe table for breakout areas. 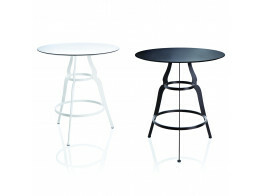 Bistro Cafe Table is a glamorous solution which suits both interior and exterior areas. 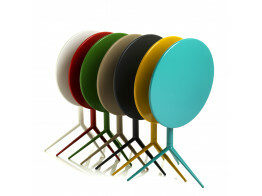 Kaffe Table L11 is an indoor and outdoor piece, designed as part of the Kaffe family by Thomas Bernstrand. 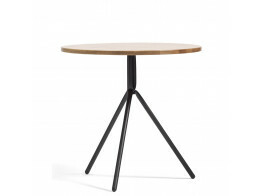 Straw Table L35 features a unique kinked steel three legged design from Osko+Deichmann. 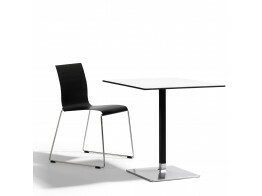 Level is L32 available in 5 table heights and with 6 sizes of tabletops. Outdoor or indoor use. Drop Table is suitable for outdoor use. 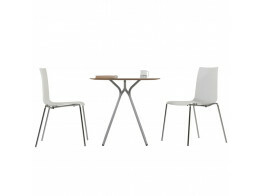 A stackable cafe table to complement Drop Chair. Cantata Breakout Tables are suitable for both outdoor and indoor use and for offices.